JPEGsnoop is a free, portable detailed image decoder that examines any file type containing JPEG compressed images and reports a wealth of hidden information. It can even be used to determine the source of an image or whether it has been edited. Can open .JPG, .THM, .AVI, .DNG, .PDF and extract embedded JPEG files. 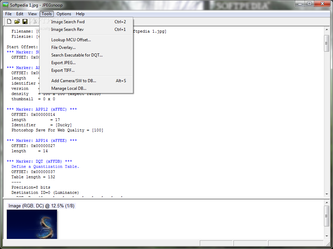 JPEGsnoop reports countless details, including image quality, EXIF / IPTC metadata, or huffman table decode. What's new in this version: Version 1.6.1 has added support for long filenames (>64 chars) in GUI and changed SOS component header table display format. JPEGsnoop is a free image decoder that wrings every drop of data that can be extracted from JPEG images. It's compact and fully portable, so you can take it along with you on a USB drive or other memory device and run it from any compatible Windows machine without having to install it. It can open not just JPEGs but also AVI, DNG, PDF, and THM files, and it also extracts embedded JPEG files. As for the data it extracts, we didn't know that JPEGs contained so much information. We extracted JPEGsnoop's compressed download and opened the program's plain but businesslike user interface. This program offers online assistance via the Help menu, but its old-school Windows functionality basically explains itself. 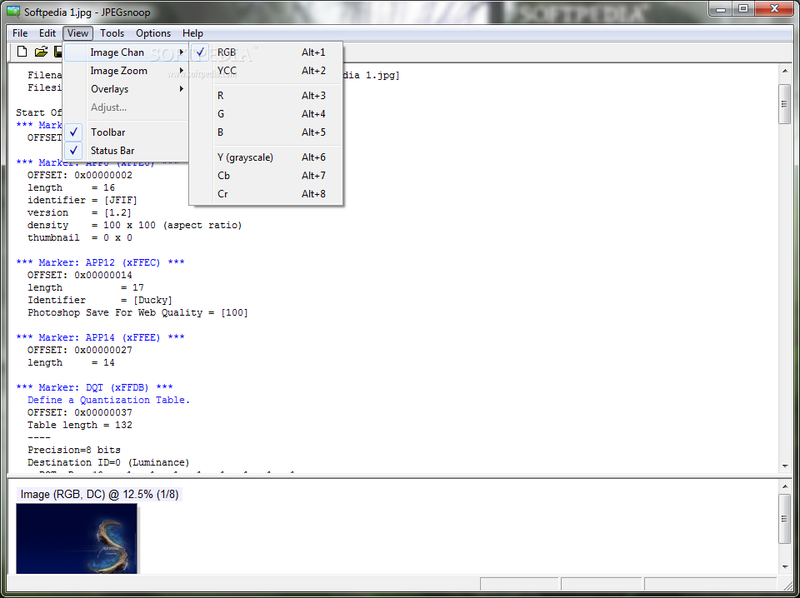 We clicked the File menu and selected Open Image. 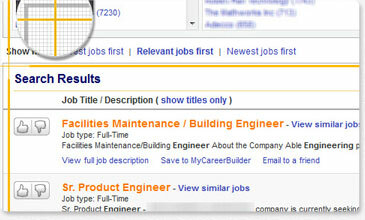 Our image appeared as a thumbnail in the bottom preview panel, while the main view was filled with information so detailed that much of it won't be of use to anyone but graphics professionals, unless you can make good use of the histogram stats and code lengths displayed in various Huffman Tables. But this tool is clearly aimed at professional users like photographers, Web designers, and programmers. It offers versatile features such as the ability to process batches of files, save log files, and export JPEG and TIFF files. JPEGsnoop offers many sophisticated options; for instance, we were able to select between a fast, low-resolution process and a slower but more thorough and accurate scan. Among the program's more prosaic options are selectable tool tips known as Coach Messages. For those who need it, JPEGsnoop is just the thing, especially since it's compact, portable, free, and easy to use. JPEGsnoop is a great utility which examines and decodes the inner details of JPEG and MotionJPEG AVI files. It can also be used to analyze the source of an image to test its authenticity. Every digital photo contains a wealth of hidden information -- JPEGsnoop was written to expose these details to those who are curious. Not only can one determine the various settings that were used in the digital camera in taking the photo (EXIF metadata, IPTC), but one can also extract information that indicates the quality and nature of the JPEG image compression used by the camera in saving the file. Each digical cameras specifies a compression quality levels, many of them wildly different, leading to the fact that some cameras produce far better JPEG images than others. One of the latest features in JPEGsnoop is an internal database that compares an image against a large number of compression signatures. JPEGsnoop reports what digital camera or software was likely used to generate the image. This is extremely useful in determining whether or not a photo has been edited / tampered in any way. If the compression signature matches Photoshop, then you can be pretty sure that the photo is no longer an original! This type of analysis is sometimes referred to as Digital Image Ballistics / Forensics. JPEGsnoop reports a huge amount of information, including: quantization table matrix (chrominance and luminance), chroma subsampling, estimates JPEG Quality setting, JPEG resolution settings, Huffman tables, EXIF metadata, Makernotes, RGB histograms, etc. Most of the JPEG JFIF markers are reported. In addition, you can enable a full huffman VLC decode, which will help those who are learning about JPEG compression and those who are writing a JPEG decoder. Other potential uses: determine quality setting used in Photoshop Save As or Save for Web settings, increasing your scanner quality, locating recoverable images / videos, decoding AVI files, examining .THM files, JPEG EXIF thumbnails, extract embedded images in Adobe PDF documents, etc. Snagit gives you all the tools you need to create eye-catching images and videos for easy sharing. Customize Snagit to meet your specific needs or the needs of your entire organization. Every day, thousands of people around the world use Snagit to visually communicate ideas and make content more engaging in classrooms, boardrooms, and at home. With Snagit, teachers can easily record and share video lessons with students, like Rob Zdrojewski did when he was called away from class for jury duty (see video on left). Teachers also use Snagit's editing and annotation tools to create more engaging handouts and how-to guides for students. Save websites or longer web documents with Snagit's scrolling screen capture, snag graphs and images and save the source website, and organize your research by keyword so it's easy to find later. Annotate assignments using Snagit's drawing tools, stamps and callouts, provide video feedback on projects, and use screen captures to create more vibrant presentations. Create easy-to-follow, visual help guides for teachers and students with Snagit's screen capture and annotation tools, or create a video to demonstrate more complex processes. Capture anything on the screen including online articles, entire web pages, segments of a resource, images, and videos. Highlight and take notes within the captured resource, organize research by keyword, and hide sensitive information with Snagit's blur tool. Show them exactly what you do, and how you do it! Create step-by-step video tutorials or how-to documents for internal and external training. Snagit makes it easy to roll out on-demand videos that can be reviewed by anyone, at any time. Looking to add some excitement to you’re documentation? Snagit gives you a wide variety of tools that makes it fast and easy to create engaging, polished content that can be sent directly to Microsoft Word or Microsoft PowerPoint. Whether you're trying to communicate driving directions or wanting to grab a screenshot to share on Facebook or on your blog, Snagit makes it easy to capture and edit images or record a video to better explain an idea. And with your Snagit library, you can quickly find and reuse content you've already created and shared. Looking online for a new home, job, or maybe diving into your family history and genealogy? Snagit makes it easy to keep track of online research. Capture images and videos, annotate with notes, and store and organize content in your Snagit Library. Snagit also works with images from your digital camera or smart phone. In today's digital world, many transactions happen online, and keeping track of receipts and records can be challenging. 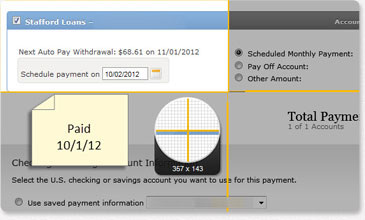 With Snagit, you can organize your taxes, manage online receipts, and keep account histories in order.